QUESTION: With how many points can your credit score improve in 3 months? The time it takes to restore a poor credit score depends on a number of factors that are critical when calculating the score. To improve his credit score he should first identify which elements from his credit history are having the greatest (negative) impact on the credit score. An individual can do this by pulling his/her credit report from any credit bureau. Then appropriate corrective action is necessary to improve the score. If payment history is erratic according to your credit report, you will be able to identify which accounts you have not been paying as you should have. You should then ensure you pay the full installment owing on each of your accounts; on time and every month. Payment history is one of the most important contributors to a good credit score. Pay off any amounts owing from negative information on your credit report such as judgments or administrative orders from the courts. 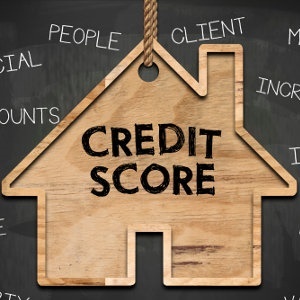 How fast the improvement will be noted now depends on the credit bureaus, which usually do updates of consumers' credit information within 7 to 14 days. But take note that credit payment activity normally only happens once a month. Three months is, therefore, a short period to drastically improve the credit score. If, for example, the payment history was poor over a long period, the credit score will only gradually improve over time. READ: Desperate for cash? Should you dig into your savings or use your credit card? Payment history and the credit utilisation ratio are most critical when calculating a credit score, carrying a weight of as much as 65%. Other factors taken into account are length (age), type and amounts of debt owed. All debts (excepts amounts owed to private individuals or family members of which the credit bureau is not aware) will be taken into account when calculating your credit score. Among those are personal, car and house loans, bank overdrafts, any store or doctors’ accounts, credit and store cards, gym and cell phone contracts, and sureties or guarantees of any kind.